Way back in 1982, industrialist Clive Sinclair was at the height of his business career. The Sinclair ZX Spectrum was among the first and most successful mainstream home computers in the world, ultimately selling more than 5 million units world wide. Clive Sinclair is credited with launching the UK IT industry and products like the Spectrum and its successors earned him a knighthood. In that same year, he instituted a literary prize, the Sinclair Prize for Fiction, to be awarded to an unpublished manuscript of social or political significance. Two of the five judges (including the Chairman) thought that a novel called ‘Chasing Cursors’ by an unknown Indian author was the clear winner. The other three judges demurred, saying the novel was of no social or political significance. They took the problem to Clive Sinclair, who threw some additional money into the pot and said the novel in question should be given a special award. The Sinclair Prize ultimately was awarded to an author whose book about battling the apartheid regime in South Africa was clearly of great social and political significance. ‘Chasing Cursors’ won special mention for merit and was awarded a small cash prize. Since this is a short story, a long story is omitted here about two literary agencies (one in the UK and the other based in the US) seeking a publishing home for ‘Chasing Cursors’ in its new avatar of ‘Sudarshan’s Gift.’ According to the agencies, the manuscript was rejected by more than four hundred publishers on four continents over the next ten years. In 1999, a new e-publishing venture called Online Originals picked it up for their list of e-books to be sold online in pdf or PDA formats (Anyone remember the Palm Pilot, the Psion or Apple’s Newton?). Publisher David Gettman, convinced of the book’s literary merit, nominated it for the Booker Prize in that year, perhaps the first ever submission of an e-only book for the prize. The Prize committee rejected the nomination, on the grounds that the author had changed nationality since the book was written, was no longer a Commonwealth citizen, and hence could not be considered for the prize. Fast forward to 2015 when publishing rights revert to the author and it now appears as a paperback and Kindle edition on Amazon. Here are headlines from the 8 reviews of the books so far. Powerful, lasting story….. Heartwarming….. a Lesson in Love and Tolerance….. Intriguing….. 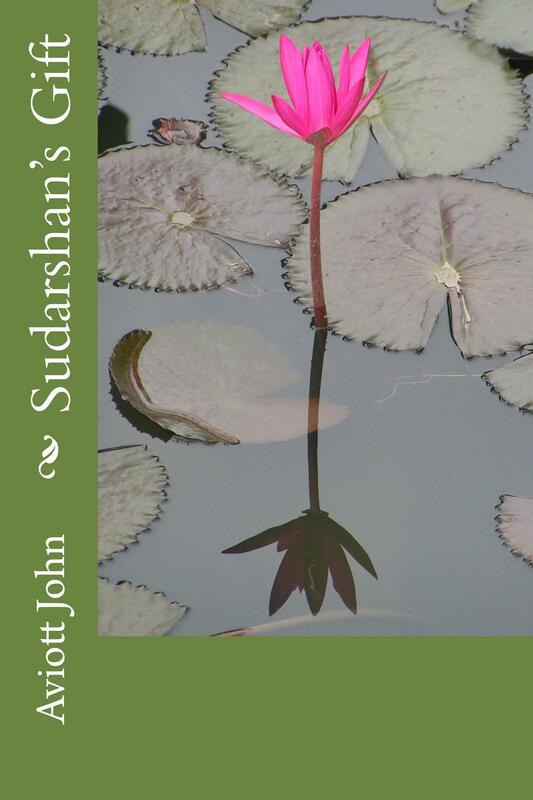 Such a gift is pure….. A Well-Written Tale….. A journey through India and the human heart.…. Great Storytelling …. The re-publication of Sudarshan’s Gift and its first appearance in paperback has meant that the appearance of “Grace in the South China Sea,” has been delayed by several weeks. More about Grace in the next blog.